Four Industrial and Systems Engineering (ISE) students recently received the 2018 Linda Parker Hudson Scholarship. Eric Blair, Ciara Conol, Caroline Kim and Summer Provance were all awarded the scholarship during the Annual ISE Spring Banquet in March of 2018. The students had the opportunity to sit down with Hudson and discuss the challenges of working in industry as a woman in the 1970s and how hard-work and perseverance were keys to Hudson’s success in engineering and business. “The biggest piece of advice she gave us was that you truly don’t realize your potential, and if you set your goals higher, then you can achieve anything,” said Provance. “Never did she think she would become CEO of a company, but with hard work and determination, anything is possible.” After meeting with Hudson and receiving the scholarship, Provance commented that she felt as if she had a new set of goals for the future. “I am going to work to achieve bigger and better things. I’m am forever grateful for women like Linda for paving the way for women engineers and CEOs, and for being great role models!”, said Provance. Hudson, who graduated from the ISE program with her bachelor’s degree in 1972, has been an active alum, serving as a member of the University of Florida Foundation (UFF) Board of Directors, UFF Finance Committee, the Engineering Dean’s Advisory Board, and the ISE Industry Advisory Board. She established the Linda Parker Hudson Scholarship for ISE students, who demonstrate excellent leadership and academic skills. Like Hudson, these students have already made significant contributions to the department during their academic career. After receiving his bachelor’s degree in ISE from North Carolina State University, Eric Blair went on to complete his Master’s and is now a Ph.D. candidate at UF. During his time at UF, he has served in many roles within various student organizations. For the last 3 years, he has participated as a Graduate Student Council Representative for the ISE Department. He also completed a one-year term as a Graduate Student Senator in the UF Faculty Senate, he was a mentor for the UF Institute for Operations Research and Management Sciences (INFORMS) Research Shadowing Program, and served as a judge for the 2017 Institute of Industrial and Systems Engineering (IISE) Southeast Regional Conference’s Technical Paper Competition. 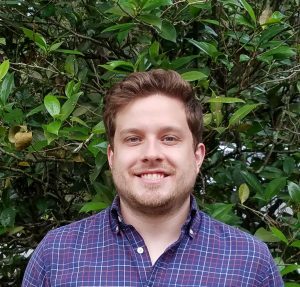 Currently, he is working part-time as an Operations Research Analyst for Andromeda Systems in Orange Park, FL, and is completing his dissertation in developing methods and algorithms for preventive maintenance scheduling. Ciara Conol has demonstrated incredible leadership through her participation as an Innovation Academy Ambassador, an IISE member, a Teaching Assistant for the Engineering Freshman Training Program, and a Co-op Committee Program Assistant. In 2017, she competed at the FirstBuild’s Hack the Home Mega Hackathon, and won an award for her development of an Amazon-Alexa integrated smart spice rack capable of responding to verbal commands, which is now a patent-pending invention. She also was the winner of the Deloitte Federal Technology Case Competition, which allows groups of undergraduate students to experience business consulting first-hand. This summer, Conol will be working with Siemens Digital Factory in Alpharetta, GA as a Technical Marketing Leadership Development Intern. Caroline Kim is active in multiple student organizations with the ISE department. She served as President of UF INFORMS, as well as Vice President of External Affairs within the INFORMS organization. She also served as the Manager of a team that hosted the 2017 Southeast Regional Conference of IISE. She showcased her leadership skills by serving as Director of Service Leadership for Engineer’s Week in the 2016-2017 academic year. 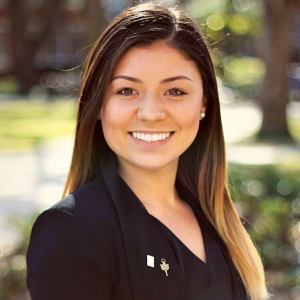 Currently, Kim is a member of both UF ISE Ambassadors and UF’s chapter of Alpha Pi Mu. 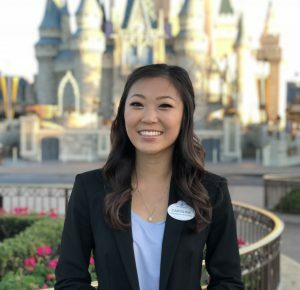 Kim recently completed an internship with Walt Disney World, where she was a part of the Industrial Engineering Project Development team. This summer, she will be taking classes at UF while interning as a Business Analyst for Optym, a local company that develops planning and scheduling software solutions for transportation. She will graduate in Fall of 2019 as a double major in ISE and statistics. Summer Provance is the founder and the first Executive Director of the ISE Career Fair, creating the first departmental career development program that connects ISE students with a variety of companies providing internships and job opportunities. 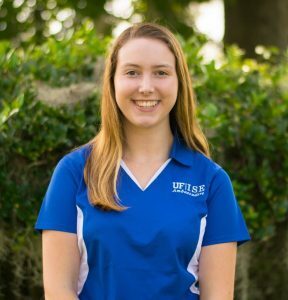 She also served as Vice President of External Affairs for UF’s chapter of IISE, as well Administrative Vice President of the Freshman Leadership Engineering Group (FLEG). She is currently an ISE Ambassador, a student group dedicated to the growth and improvement of the ISE department. Provance has also held multiple internships at General Electric Healthcare, as a Pack Processing Operations Leader, as well as a Community Service Co-Director. She is currently finishing up an internship as a Product Management Intern at Voatle in Sarasota, FL. Provance plans to continue her education in the healthcare field and will be returning to Milwaukee this summer for another internship with GE Healthcare. Please join the ISE Department in congratulating these four outstanding students on their scholarship, as well as their many accomplishments on and off campus.